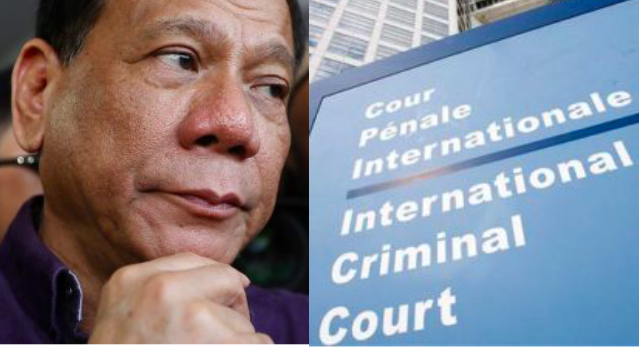 The International Criminal Court (ICC) has opened a probe into President Duterte’s alleged human rights violations related to his war on drugs. According to the AFP report, the examination would focus on alleged crimes dating back as far as July 2016, two months after Duterte won the presidency. “It has been alleged that since 1 July 2016, thousands of persons have been killed for reasons related to their alleged involvement in illegal drug use or dealing,” Bensouda said. Presidential spokesman Harry Roque confirmed the probe during a news conference yesterday (Friday, February 9). “The president has said that he also welcomes this preliminary examination because he is sick and tired of being accused of the commission of crimes against humanity,” he said. Roque, however, clarified that there was an important difference between a “preliminary examination” and a “preliminary investigation.” The former, he said, was done to see if there were any basis to launch an investigation. The ICC’s examination is a response to a complaint filed by a lawyer in April that raised drug war deaths allegedly linked to President Duterte and 11 other senior government officials. The ICC is mandated to prosecute individuals from member countries for crimes agaisnt humanity, genocide and war crimes. According to the Philippine National Police’s latest tally, about 4,000 people have died due to the narcotics crackdown. However, human rights groups put the figure at closer to 13,000. Nonetheless, Roque maintained that the war on drugs was a legitimate use of police power. “As a sovereign state, the Philippines has the inherent responsibility to protect its current and future generations by effectively addressing threats of the safety and well-being of its citizens such as proliferation of illegal drugs,” he said. Meanwhile, the president has said that if he were to be found guilty, he would prefer to be executed by firing squad, like Philippine national hero Jose Rizal. The Issue occurs with Indian government’s stance of not approving a tax exemption to the ICC that has given rise to the global governing body’s “concerns”. Fearing revenue losses of at least $100 million, on Friday, the ICC board directed its management to look out for alternative venues, beginning with the Champions Trophy, if the issue is not resolved. Although the Champions Trophy is still three years away, the ICC board has been stung by the experiences of the 2016 World T20 (hosted by India), for which tax exemption has not yet been approved. Because of that, the ICC has suffered a revenue shortfall of $20-30 million – in 2016, it is understood Star India, which owns the media rights for ICC events, paid 10% tax to the Indian government and recovered that amount by deducting from its payment to the ICC. Two years on, and despite constant reminders by the ICC and the BCCI, the Indian government has not budged in providing those exemptions. Despite the BCCI’s attempts at facilitation, the ICC board remains wary of exposing itself to what some officials calculate could be losses of $100-125 million if the Indian government fails to provide tax exemption for the Champions Trophy and the 2023 World Cup. That hits Full Members the hardest, because revenue from ICC events is distributed among all participating countries. “The Board expressed their concern around the absence of a tax exemption from the Indian Government for ICC events held in India despite ongoing efforts from both the ICC and BCCI to secure the exemption which is standard practice for major sporting events around the world,” the ICC said in a media release, after the board meeting in Dubai on Friday. “The Board agreed that ICC management, supported by the BCCI will continue the dialogue with the Indian Government but in the meantime directed ICC management to explore alternative host countries in a similar time zone for the ICC Champions Trophy 2021. ” Friday’s meeting was attended by BCCI’s acting secretary Amitabh Choudhary, who is understood to have supported the ICC’s position. ESPNcricinfo understands, in its communication with the Indian government, the ICC has highlighted the fact that when countries host global sporting events like the Olympics, football’s World Cup, the World Athletics Championships and even the UEFA Champions League final, they are given special dispensation because of the positive impact they have on the local economy.